Opposition MP and National Federation Party Leader Professor Biman Prasad was suspended from Parliament for ten minutes this morning. Speaker of the House, Dr Jiko Luveni made the ruling saying there were a few instances in the past where Professor Prasad did not listen to the Point Of Order or the ruling made by the Speaker. Dr Luveni says Professor Prasad did the same again this morning and therefore under the Standing Order 75 she exercised her power to suspend the NFP Leader for ten minutes. 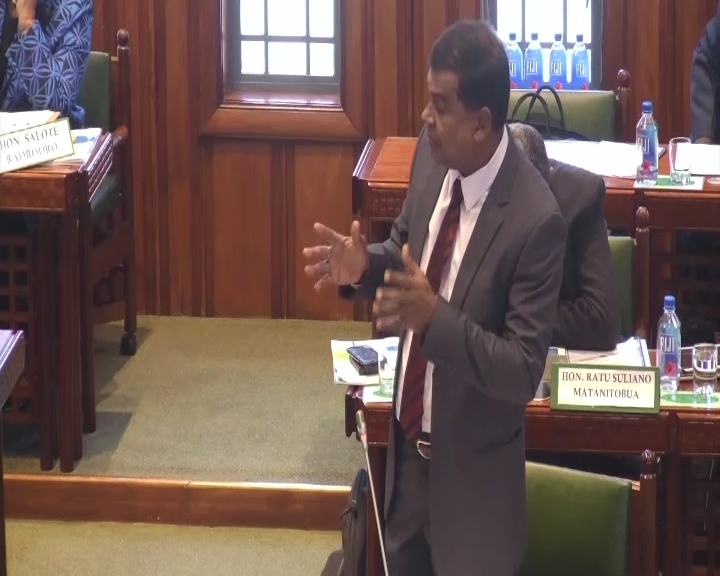 Professor Prasad raised a Point Of Order accusing Economy Minister, Aiyaz Sayed-Khaiyum of personalizing issues against NFP while responding to questions regarding Fiji Airways. Dr Luveni told Professor Prasad that his point is not a point of order however Prasad argued while sitting down that he raised a Point Of Order. During this exchange, Dr Luveni than made the ruling to suspend Professor Prasad.